With the rise of commercialization, original and priceless traditional art forms have to face stiff competition with cheap, mass produced imitations. I hail from a village in Madhubani in Bihar in India. My region is famous for its colorful and vibrant paintings. Each painting has hidden meanings to bless mankind. I grew up seeing my grandmother - people in my village know her as Gauri Maa - doing some great work to bring social and economic development to the women practicing the art form. My parents always told me that we have one of the oldest surviving traditions of India - so amazing that it brings scholars from all over the world to study it every year. 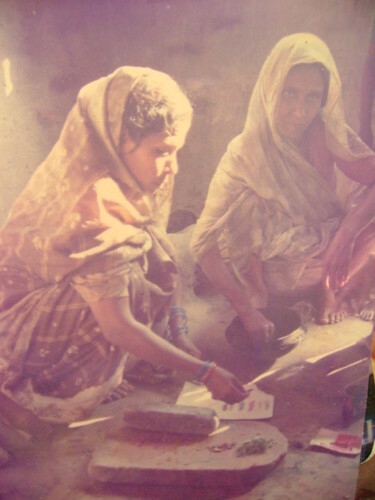 My grandma created a small and unique organization - SEWA Mithila - which means Help Mithila - and in its premises, I would see hundreds of women sitting on the floor creating beautiful paintings from natural colours, singing folk songs and going home happily at the end of the day. In 2010, my maternity break took me back to my village and when I revisited the SEWA campus, SEWA Mithila had stopped functioning! Artists had got scattered, looking desperately for a medium to earn a livelihood. Many of them had quit the art, migrated to urban areas looking for alternative professions. SEWA Mithila was a charitable organization, so the funds had stopped flowing in, in the absence of an active protagonist. My grandma was now too old. It was a grim situation.Though feeling shattered about the state of affairs, I had a feeling that I could bring a change. My past professional experience of working with companies like IBM, SAP in supply chain management was useful in organizing SEWA Mithila back. A 'social company' was the need of the hour which could continue on its own for years. The name came almost instantly to my mind- it would be MITHILA + Asmita which would mean Mithila's Pride, which the art of Mithila symbolizes. MithilAsmita in its short journey of about three years is now associated with over 100 local artists. We have also started the first gallery for Indian folk art in Bangalore to showcase original art. Here every product is hand made and signed by the rural artisan, conforming to the Geographical Indications Patent rights awarded to Madhubani Art by the Government of India. MithilAsmita organizes awareness meetings to encourage artists to use genuine means for art creation. Besides giving artists incentives for their work, we reward them with awards and gifts for being fair and original in their practice. We have started the LIGHT FOR ART initiative, to light up the homes of artists with solar lamps to make their nights safer & productive. We also honor the legendary, yet forgotten master artists of Mithila Painting with the MITHILA RATNA award to motivate the younger generations in local artisan communities to take up the art form. We also organize exhibitions to promote these paintings. Recently to spread word we have started to design products based on the amalgamation of different Indian cultures with Mithila and look forward to create such magic with other cultures of the world. 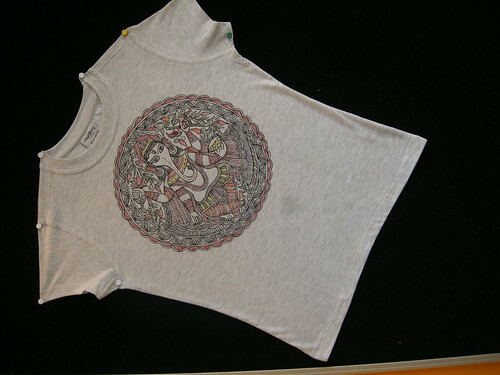 We want to ensure that the age old tradition of Mithila Paintings of India continue to add to the world's beauty. 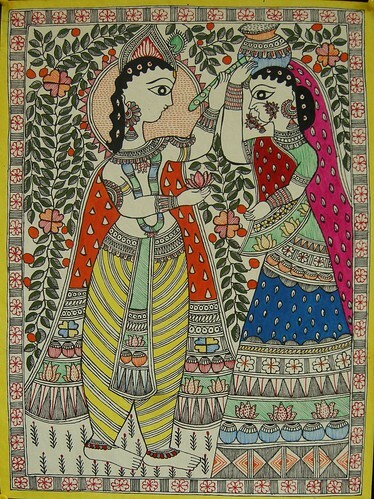 MithilAsmita is working to bring this awesome folk art to the light of the world. We want it to be a sustainable organization but generating sufficient revenues through a social business model is always a tough challenge. Tell us how to reach our target audience - art collectors, museums, corporate houses and individuals who love uniquely hand painted apparels, accessories and décor. Your help can translate into direct revenues and collaborations for our artists. MITHILAsmita Art & Craft Pvt. Ltd.
We will select 3 ideas to reward with an exclusive hand-painted silk scarf. Each scarf is made of a 1.8 × 1 meter long beautiful woven silk fabric available in deep pink and orange color. 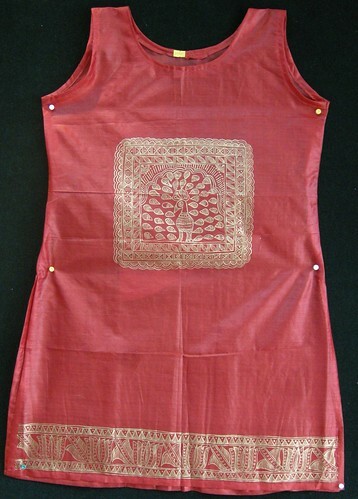 They are painted with traditional Madhubani designs with natural and vibrant colors.